By Tanja Bezjak on 10. June 2018. AdCumulus is a software development company specialized in developing products that do magic for online marketing. Our flexible and feature-rich solutions Ad Server and Affiliate Software are used by advertising and affiliate networks worldwide, including the largest advertising network in South East Europe. Currently, we are looking for candidates to fill a Backend developer position. The position focuses on creating and maintaining web services that interact with a complex database, and we’re looking for a competent ambitious individual to join our team in Varaždin, Osijek or Skopje and work on challenging international projects. While the compensation for this position is ultimately dependent upon the candidate’s experience and other qualifications, we offer our employees a competitive paycheck and award outstanding performance with career advancement opportunities. We also ensure that our developers have modern workstations with the technology they require. There’s reasonable flexibility about working schedule and we allow our employees the possibility to occasionally work from home. Oh, and there’s a cupboard full of free coffee, tea, and other drinks of your choice. Employees in this position will have the opportunity to develop new skills and work on dynam various domains of expertise that AdCumulus operates in. 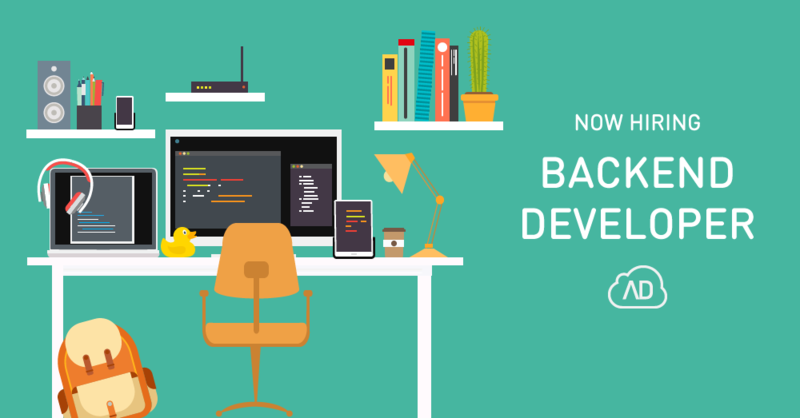 If you’re one of the Backend developers crew, intrigued by what you’ve read and convinced you can enrich our team with your knowledge and experience, submit your application in English to careers@adcumulus.com before 26.06.2018.